Winner of ‘People’s Favourite’ at the Historic England Angel Awards. Shortlisted for RICS Tourism & Leisure Award 2017. Shortlisted for RIBA South West Award 2018. 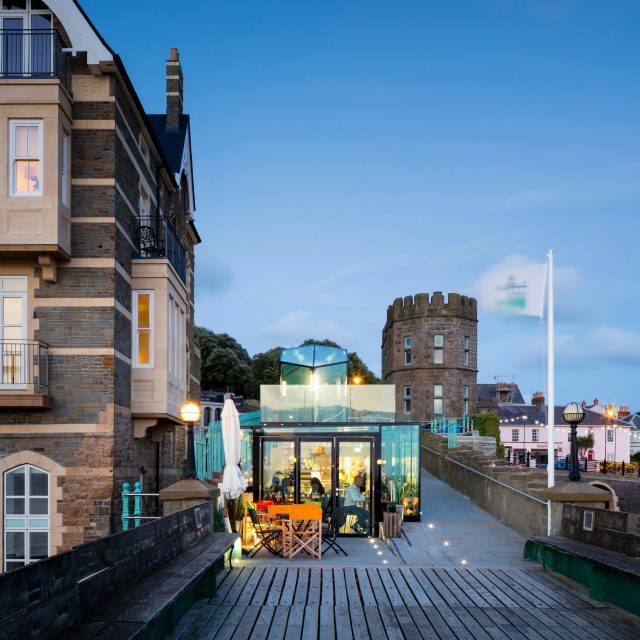 The Pier first opened its doors in 1869 and is the only Grade I Listed operating Pier in the UK. 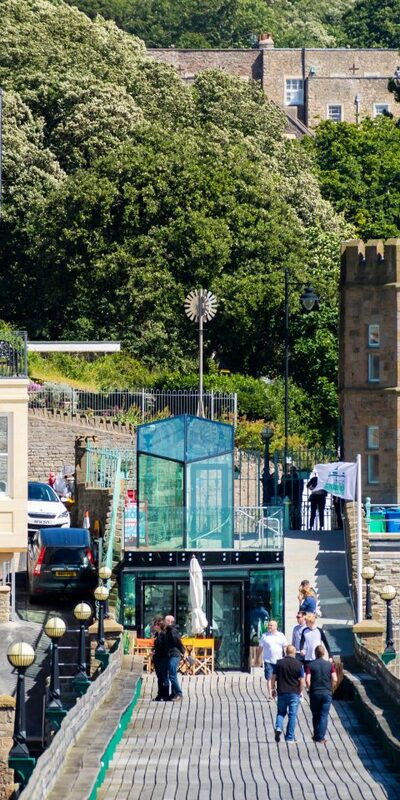 Due to its historic status, the Visitor Centre is built into the the approach ramp to the pier. 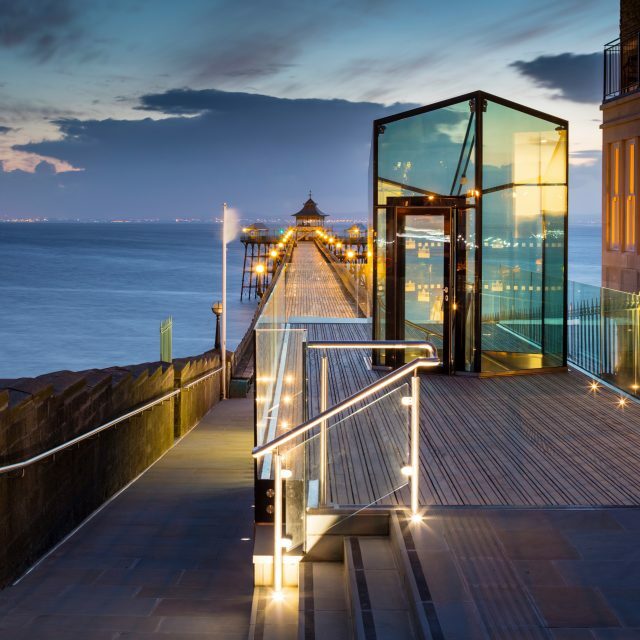 Below ground is a concrete structure containing toilet facilities and an education space with views underneath the Pier. Emerging from the ramp is the frameless glass structure containing a cafe and viewing deck overlooking the Severn Estuary. 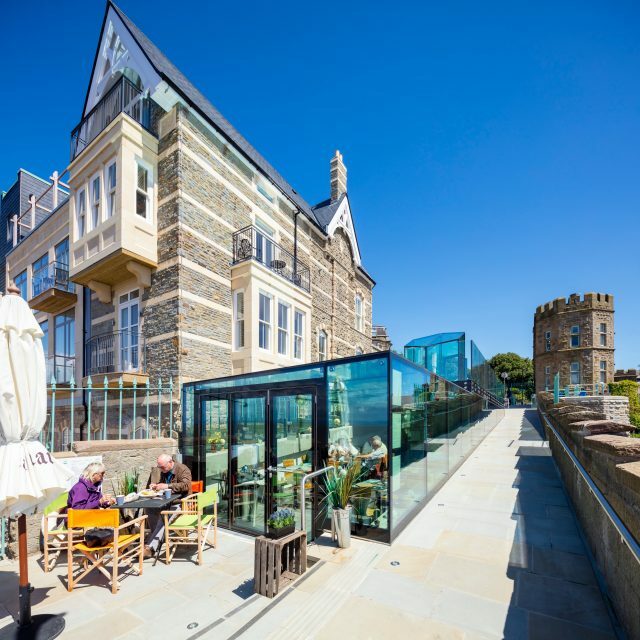 Click here to see a short film about the award winning visitor centre at Clevedon Pier.